Phew and all that. I’ve just been listening again to the 37 minute stream of new music by Neil Young and Crazy Horse that was posted at the weekend on neilyoung.com. I’m sure there were more important things I could have been doing throughout the day, like filling in health and safety reports and similarly essential tasks. But after reading John’s Wild Mercury Blog on the Neil and Crazy Horse jams, which are titled, tantalisingly, ‘Horse Back’, I haven’t needed much encouragement to utterly neglect such housekeeping duties to further take in the roiling brilliance of Neil and Crazy Horse. John’s written about the two streamed tracks in typical detail and there’s not much to add here to what he’s already said, apart from agreeing that the version of “Cortez The Killer” must rank as one of the best iterations ever of this venerable song. How great it is to hear Young back in harness with his most spectacular musical sparring partners. There’s no word, of course, when or even if we’ll hear anything more from these recent sessions, but we live in hope, as we always do when it comes to Neil and what he’s up to. 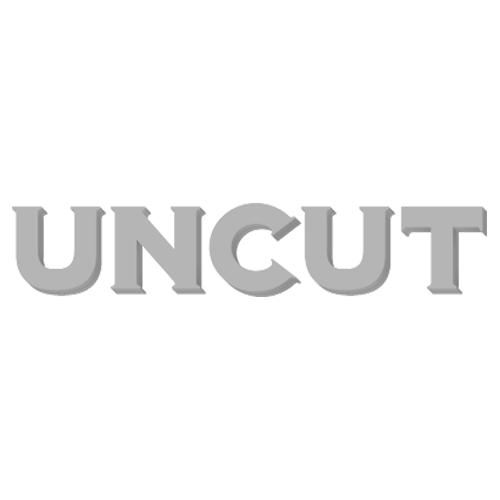 On a separate front, a glance at the newly refurbished uncut.co.uk will have confirmed there’s a new issue of Uncut on sale this week. There’s a ton of great things in it – the Beatles in Hamburg, the astonishing story of krautrock revolutionaries Amon Duul, Rob Young’s profile of Harry Smith, the folk archivist whose legendary 1952 Anthology Of American Folk Music has subsequently been such an inspiration to so many musicians, a look back at the fraught career of Jeffrey Lee Pierce and his voodoo blues trailblazers The Gun Club, Mark Lanegan, The Jam and Randy Newman. There’s also a fascinating piece on the making of Marquee Moon, by Television guitarist Richard Lloyd that took me back to the weekend in May 1977 when four of the most celebrated of the so-called CBGBs generation fetched up in Glasgow. On the Saturday night, The Ramones headlined a show at Strathclyde University, supported by Talking Heads. On Sunday, at the fabled Glasgow Apollo, Television made their UK debut, with Blondie opening. On Saturday afternoon, I wandered down to the University, where I met up with a friend who was working with Talking Heads as a member of their road crew and watch open-mouthed as the band played an entire set by way of a sound-check for that night’s show. There was further excitement when The Ramones then appeared for their own sound-check. Said excitement turned quickly to alarm when after two numbers, both played at a volume only slightly less deafening than a building collapsing, they blew out half the PA.
Their tour manager was on the phone like a shot, frantically trying to locate a replacement sound system. He eventually rushed off to the Apollo to borrow some gear from, of all people, American singer-songwriter Dory Previn – a wholly unlikely saviour. The gig that night, by the way, was fantastic. The next night, at a sadly half-full Apollo, Blondie took the stage early and clearly pissed off about something or other that had put them in a mood that made them quickly tiresome. They were about to play “X-Offender” when Debbie Harry called a halt to proceedings and the band screeched to a halt. Amid much swearing from a furious Harry, there’s a quick band conflab and a lot more swearing, after which they complete a fairly miserable set, Chris Stein flinging his guitar at drummer Clem Burke as he stalked off in a visible huff. At 9.30 promptly, as I recall, Television appeared, a moment I’d been waiting for since hearing Marquee Moon, an album with which I was already completely besotted. For the next 75 minutes, they were truly transcendent. They played “See No Evil”, “Venus” and “Elevation” from the album, and “Foxhole” and “Adventure” from what would be its follow-up. There was a long, long version of their first single, “Little Johnny Jewel” and an unexpected cover of “Knockin’ On Heaven’s Door”, followed by “Friction”. Then Tom Verlaine, pale as an angel, spoke softly to us, possibly his first words of the night. “It goes like this,” he said, “and it’s called ‘Marquee Moon’.” Cue more jaw-dropping astonishment as about 20 minutes later Verlaine and Richard Lloyd reached a pitch of screaming intensity, Verlaine suddenly hit from both sides of the stage by spotlights that reflect dazzlingly from the Perspex body of his guitar. They were then quickly gone, returning for a single encore, a storming version of “Satisfaction”, another huge surprise. Thirty five years on, the thrill of the music they played that night comes back to me with palpable clarity, filling me with the same kind of excitement as those Neil tracks I mentioned earlier, that I’m going to listen to again now, whatever else I should be attending to on hold for the rest of the day at least.